Here is an Alien timeline consisting of the events of Alien, Aliens, Alien 3, Alien: Resurrection, Alien vs Predator, Aliens vs Predator: Requiem, Prometheus and Alien: Covenant. The games, books and graphic novel events are not included in the Alien timeline. This is a simple timeline, mostly taking into account the most important events from the movie or events referenced in the Alien movies. 2004, middle of October: A Predator ship crashes near the town of Gunnison, Colorado. A Xenomorph outbreak occurs in the town and the town is nuked by US forces. 2089: Dr. Elizabeth Shaw and Charlie Holloway discover a star map on Earth that points to LV-223. 2091: The Prometheus mission leaves Earth. 2093: The Prometheus reaches LV-223 and most of its crew is killed. Sir Peter Weyland is killed by an Engineer and the Prometheus is destroyed. 2094: David wipes out the Engineer population on the Paradise planet. Dr. Elizabeth Shaw is killed. 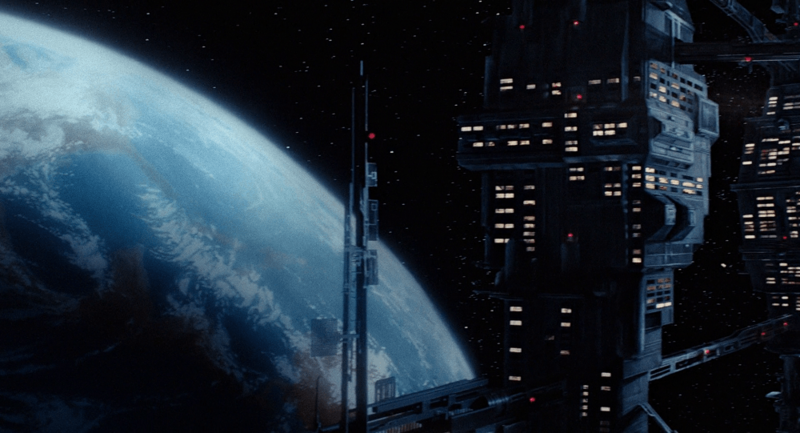 2103: The Covenant mission leaves Earth with the purpose of reaching the planet Origae-6 to colonize it. 2104: The Covenant mission receives a transmission from Dr. Elizabeth Shaw and lands on the Paradise planet to investigate. 2121: The Nostromo leaves Thadeus on a course to Earth with the crew of 7: Kane, Dallas, Lambert, Ripley, Ash, Parker and Brett. 2122: Nostromo lands on LV-426 to investigate a derelict transmission, they find a derelict ship where executive officer Kane is impregnated by a Xenomorph. Kane is brought onboard with the Xenomorph, crew wiped out in 24 hours, Nostromo destroyed, only survivor Ellen Ripley escapes in the Narcissus shuttle. 2120-ties - 2170-ties: Gateway station is built orbiting Earth. 2150-ties: The Hadley's Hope colony is established on LV-426. 2179: The Narcissus with Ellen Ripley is picked up by a deep space salvage team. 2179, June 12th: Carter Burke sends a transmission to Hadley’s Hope to locate the Derelict. 2179, June: The Jorden family finds the ship and investigates, Ross Jorden first to be impregnated. 2179, June - July: Hadley’s hope with the population of 158 is infested by Xenomorphs. 2179, July: Contact with Hadley’s Hope colony on LV-426 is lost. 2179, July: A USCM team lead by Lieutenant S. Gorman is sent to LV-426 to investigate contact breakoff with Hadley’s Hope in the USS Sulaco. Ellen Ripley is sent with them as a consultant. The marines find only 1 survivor, Rebecca Jorden. Most of the marines wiped out by Xenomorphs or friendly fire, Atmosphere processor goes critical, the colony and surrounding area destroyed. The mission has 4 survivors: Ellen Ripley, Dwayne Hicks, Bishop 341-B android and Rebecca Jorden. 2179, August: The USS Sulaco jettisons the survivors of the LV-426 mission in an EEV as a fire is started on the ship by a Xenomorph. Ellen Ripley is impregnated. The EEV crashlands on Fury 161, a prison planet with 23 prisoners, 2 wardens and a medical officer. Dwayne Hicks and Rebecca Jorden are killed in the crash. A Xenomorph is brought along in the EEV, it infests a dog/ox, kills most of the prisoners, Warden Andrews and medical officer Clemens. Ripley consults heavily damaged Bishop and shuts him down. The Bishop II android with a team of special forces is sent to acquire Lieutenant Ripley on The USS Patna to get ahold of the alien queen specimen inside her. Ellen Ripley commits suicide, warden Aaron is killed. The only survivor is prisoner Morse. Fury 161 is closed down. 2381: Ellen Ripley is cloned on the USM Auriga after 7 unsuccessful attempts, she is named Ripley 8. An alien queen is taken out of her, Ripley recovers inhumanly fast from the surgery. Commercial Freighter Betty docks with the Auriga, a team of mercenaries delivers a dozen of human hosts for the Auriga scientists. The aliens break out, most of the Auriga crew killed/captured in 1-2 hours, some manage to evacuate. Ripley joins the Betty crew and manage to escape from the ship, half of the Betty crew is killed. The USM Auriga crashes to Earth. The Betty lands on Earth with Ripley 8, Call, Johner and Vriess. The Alien timeline is something I created back in 2002 and dusted off from the old site to update with the information from then new movies and correct any errors. Please let me know if you find any errors in the Alien timeline. If you are interested in Predators, check out the Predator Timeline.